You Are Here: Home » Search Engines » Google to launch gBlimps to advertise ads in the sky! You will now be able to display your Google Adwords PPC campaigns on blimps in the sky! That’s crazy! After years of meticulous design, our brand new fleet of blimps is finally ready to take to the skies. Soon you’ll be seeing Google blimps (a.k.a. gBlimps) flying over major cities, displaying AdWords ads to a larger audience than ever before. If you already have an AdWords account, using Blimp Ads is easy. 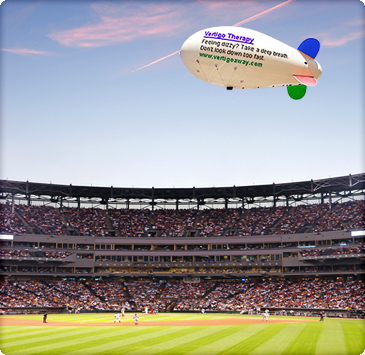 Our gBlimps are designed specifically to display your existing text ads in their original format. With Blimp Ads, you can target your audience in exciting new ways. Specify the height and location of the blimp, as well as the time you want the ad to run. You can even target special events like football games, outdoor concerts, meteor showers, and more!